Save with Lokar's Duo-Pak Hi-Tech Throttle Cable Kits. 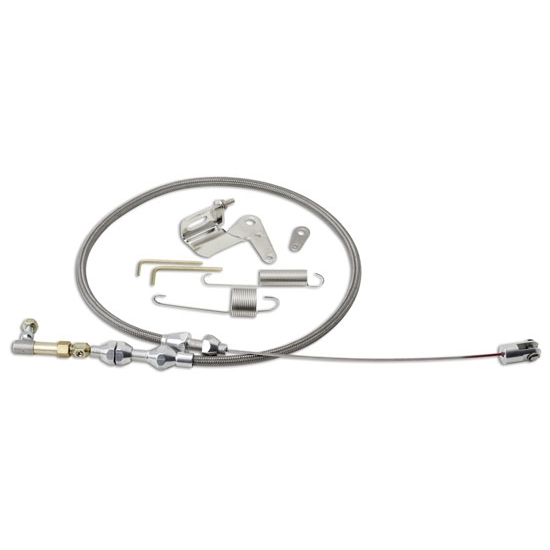 The kit is equipped with a Throttle Cable in stainless housing plus our Stainless Steel Carburetor Bracket and Return Spring Kit. Duo-Pak only available for carbureted applications with Holley, Edelbrock, AFB, Quadrajet and In-Line Dual Quad carbs. Lokar TCP-1000LS148 GM LS1 Hi-Tech Throttle Cable Kit, 48 Inch, Pol.